The Vancouver Canuck fanbase is pathetic. 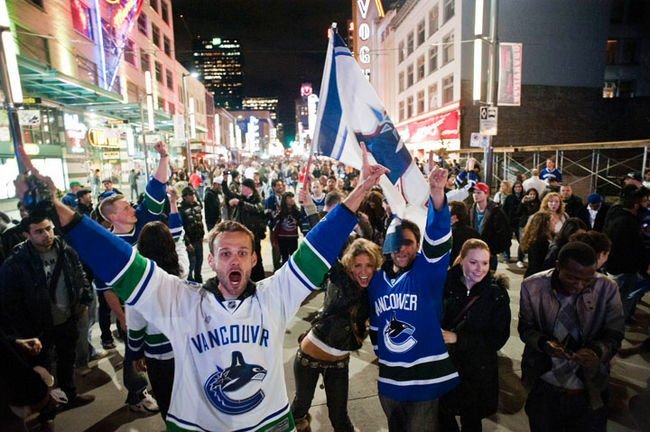 After the worst display of "sore loserism" the world has ever seen, all we are hearing out of Vancouver is excuses. We hear how this was a "small minority". Do you think we're all fools? We saw the footage. It was you, Vancouver. Do the rest of the county a favour and annex yourself. You've forfeited the right to call yourselves Canadian. You're not Canadians, you're animals. Please leave Canada to the true Canadians and go away. .
Umm, I wholeheartedly disagree with everything you said.